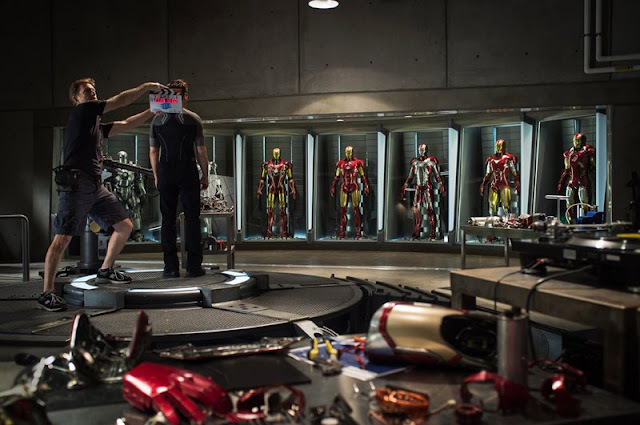 Above is the first officially released image from the set of Iron Man 3 which is currently shooting. We may have seen some Iron Patriot pics before but this is actually from Marvel themselves and not some picture hound with a telephoto lens! This pic shows us Tony Stark in his Armour Chamber with 7 different versions of his Iron Man suit. I can never get enough of Marvel movie images/teasers!